Interactive floor projection is not completely a new technology but the way it’s now being used to conceptualize and create exciting and unusual products is indeed unprecedented. With multiple elements of surprise, interactive floor projection based interactive interior products and digital flooring not only helps businesses to achieve the difficult goal of engaging customers but also keeps everyone entertained in an intuitive manner. Over the last 1 year, a large number of restaurants, clubs, bars, showrooms and shopping malls have utilized the technology in a creative manner, thanks to handful of service providers who’ve been coming up with exciting new products every month. On a basic level, floor projection is the programmed movement of video streams corresponding to various gestures received as inputs by a computer system. The technology is not new but it’s only now that affordable products are finally made available to businesses willing to increase customer engagement. Earlier, companies had to bear great expenses for buying licenses and systems to make it work. Thankfully things are different now. Interactive interior products are well within the reach of most businesses operating in different industry segments now. 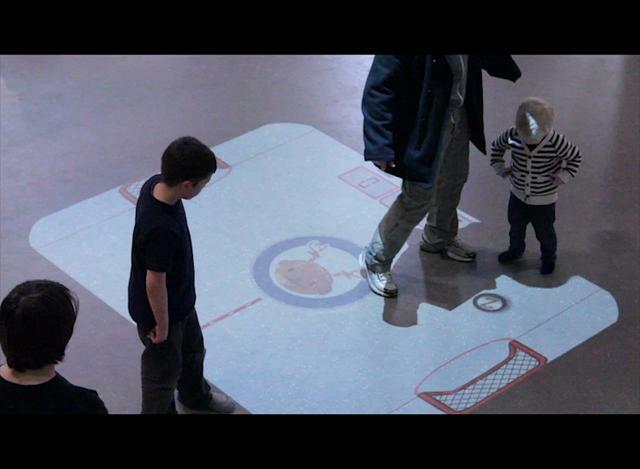 Surreal interactive flooring experience and extremely smooth interaction is now a possibility for anyone. Not many people are aware of the fact that a simple combination of a reasonably good video projector and web camera along with a software system can work as an interactive floor projection system. These systems are based on the movement as they respond to various gestures. If someone stands still on an interactive floor, no effects are produced. How’s Digital Flooring Technology Being Used? The hospitality industry in particular has been quick to embrace the technology and its wide range of applications in different parts of the world. While floor projection products are being made available at affordable costs, creative designers, software developers and content experts have also helped a great deal in making them suitable for interactive advertising, customer engagement and branding. What Are the Applications of Interactive Flooring Technology? This technology finds applications in a large number of industry verticals. The effects generated on the floor, wall or any other surface can be configured to an effective degree. Customers can combine pictures, attractive graphics, videos and sounds in any manner they like. Companies that sell such products also provide a number of templates ready to be used. Custom templates too can be designed from scratch depending upon the unique needs of a business organization or any other agency. So, the next time you need to spice up a party, exhibition, award ceremony or corporate event, consider making use of interactive floor projections to pleasantly surprise all participants. They’ll remember the event for a long time! Whether you need to present a product idea in an impressive manner or you just want to entertain all your guests, digital flooring solutions provided by reputed companies offering interactive interior products won’t fail to meet all your needs!